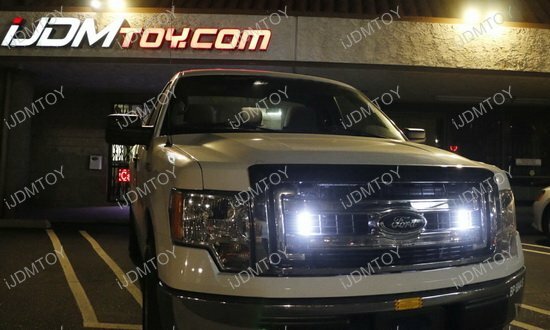 A: This LED daytime running lights is 100% street legal. 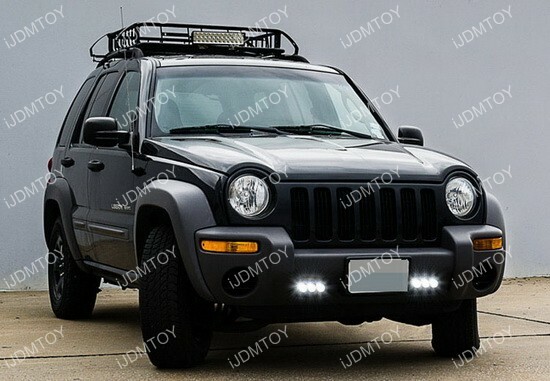 Q: Is this LED daytime running lights water proof? 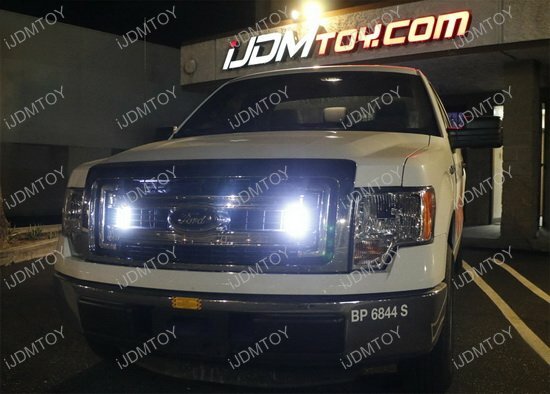 Q: Is there an installation guide for these lights? 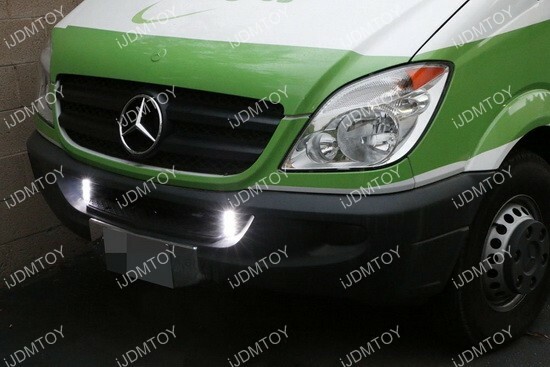 A: We have this general LED daytime running light installation, please take a look. 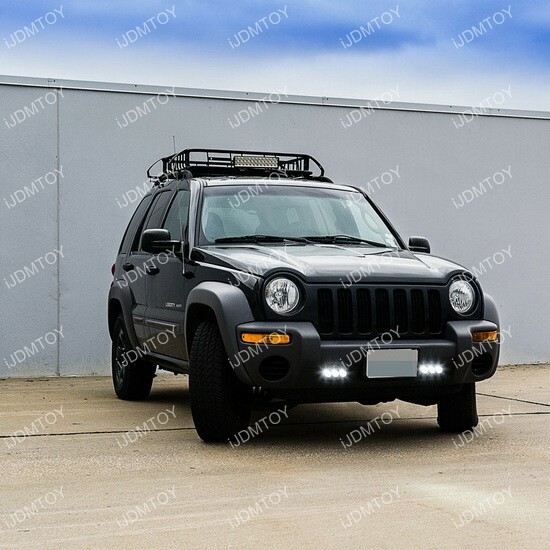 We also have this YouTube video to show you how to install these universal fit LED daytime running lamps, please take a look. 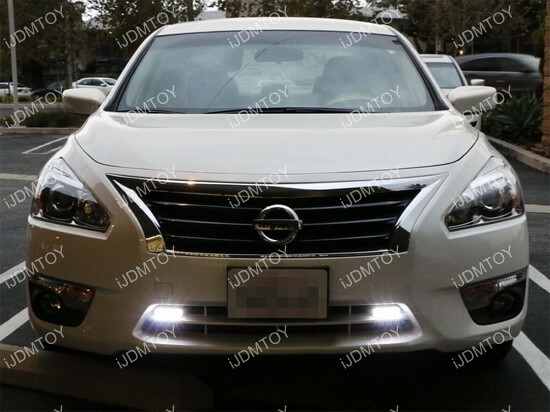 Q: How do I hook up the wires for these LED daytime running lights? A: Black to negative or ground, red to 12V+ fuse box or 12V power source such as the parking lights and white wire is optional to headlights positive which will turn off the DRL when the headlights are on. 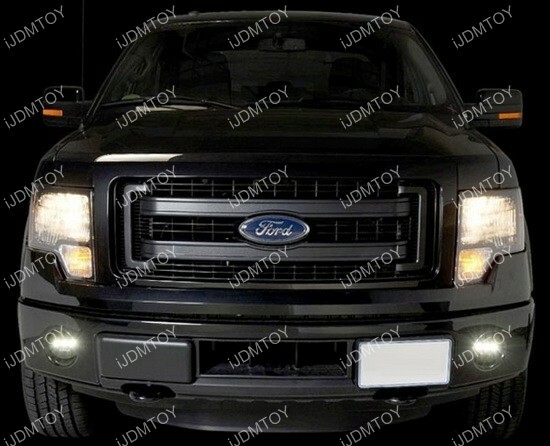 A: This is a universal fit LED daytime running lights, meaning as long as your vehicle has enough space (length-wise and depth-wise), you will be able to install this. 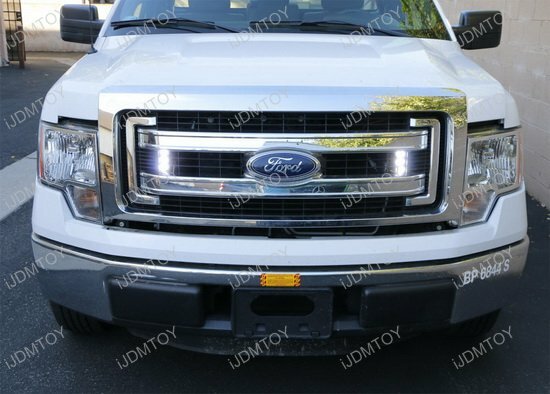 The dimensions of this LED DRL lamp are provided in the description so please double check that with the application prior to purchasing. A: No, since you are tapping these LED lights to an existing power source (and not replacing), there should be no error messages. 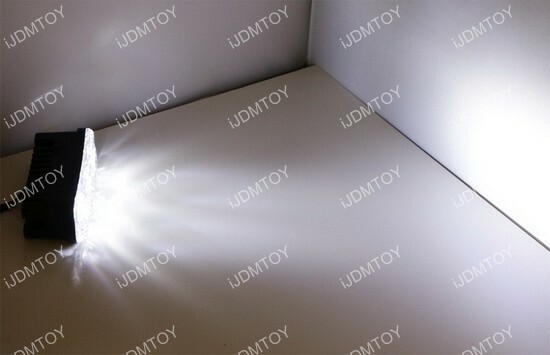 Q: Which DRL lamp is the left and right side? 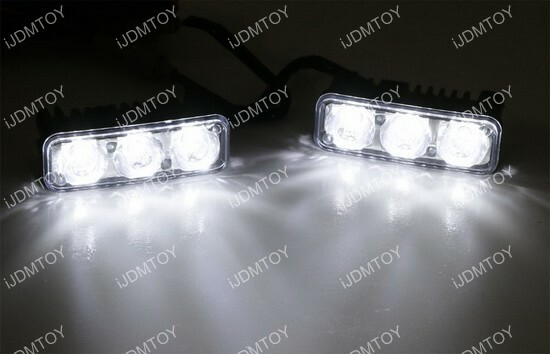 A: There are no left and right difference for this kind of LED DRL lamps. 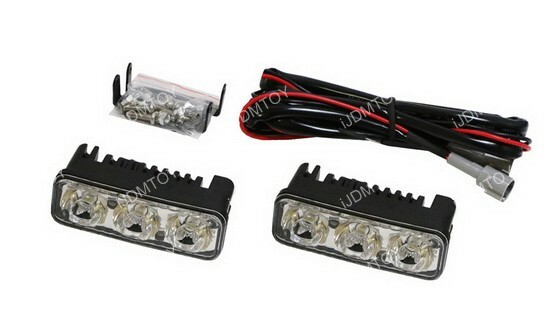 The kind of mini 3-LED daytime running lamp is measured at 3.35" x 1.35" x 1.20", makes it very easy to be installed for all kind of cars, either horizontally or vertically. 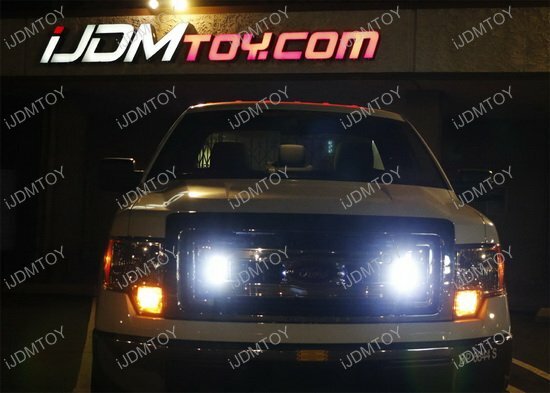 Simply mount these LED DRL lamps to the desired location, and wire them up to either the ACC 12V+ or any where 12V. 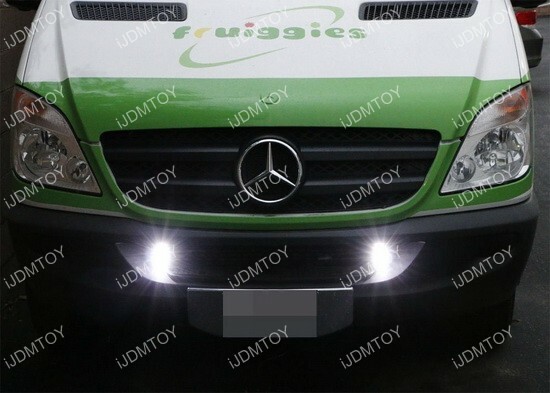 These LED daytime running lights works as expected, great output from behind the grille. 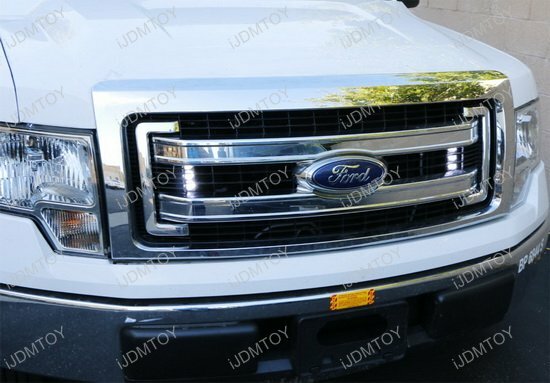 Bought for my Tundra and put them behind the hood. Very bright and I really like it.